We gathered here a list of the best dating WordPress themes on the web you can use to build your community or social media website in just a couple of hours. These are highly adaptable and highly intuitive WordPress themes that include all the needed administration features for a complete control of your website’s layout and design. 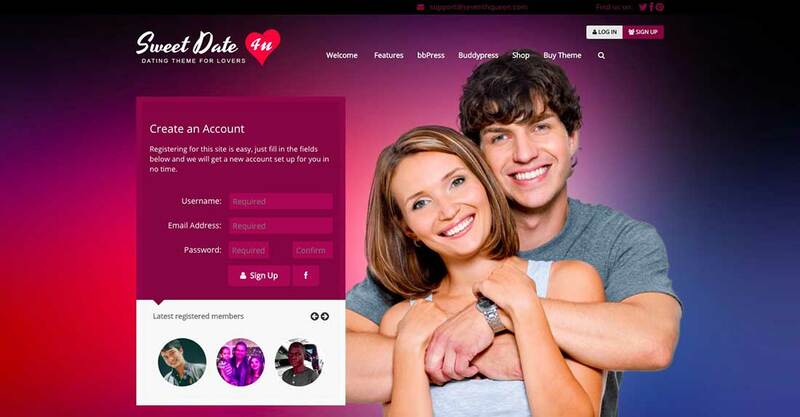 These dating website themes come with easy to manage designs that ensure your site will stand out and be remembered. Check out their full features in the links below. SweetDate is a modern WordPress theme you can use for creating a dating or community website. It can be easily adapted to match other types of community websites as well, so feel free to customize it as you please. With this dating WordPress theme for building communities, you’ll get unlimited site customization with unlimited use of fonts, colors, and graphic elements. It comes with 5 child themes ready to set up with just a couple of clicks. 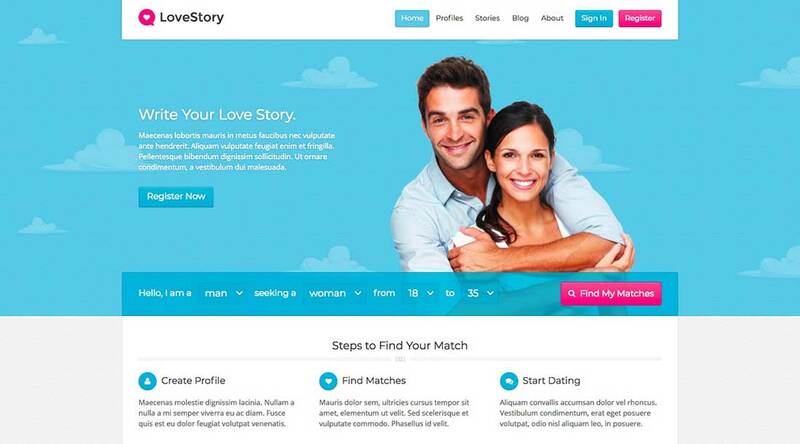 LoveStory is a great theme for building any dating or community website. Use it to create any website that needs the following features: membership fees, virtual gifts, chat messages, user profiles and accounts, photo uploading, user generate content, real-time conversations, and more. DateBook is another great theme for dating website startups. This theme is fully customizable, easy to use and SEO friendly. Use it to easily let members create personal profiles and find their ideal partners. 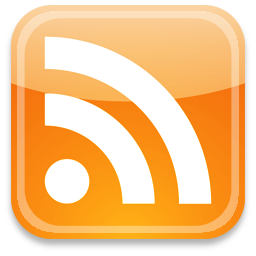 It offers paid subscriptions. 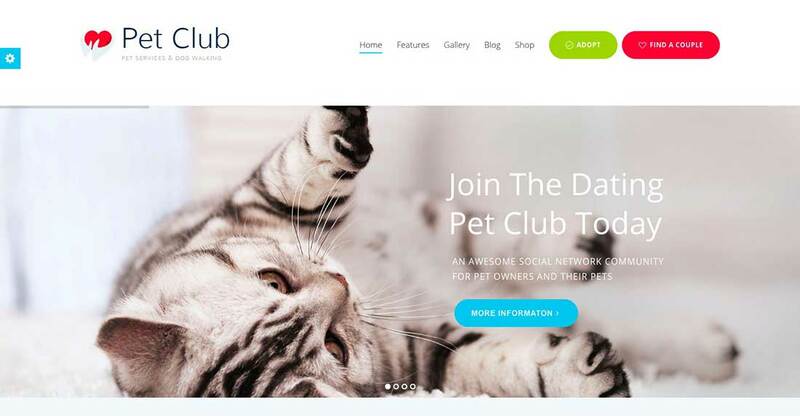 Pet Club is a unique WordPress theme for building community websites for pets, dating services, adoption services, and more. Use it for pet stores, veterinary clinics, animal care shelters, breeders, pet hotels, or any other pet-related community website. Check out this beautiful and elegant wedding website that comes as an easy to install WordPress theme. Use it to create a gorgeous website for your big date! This theme comes with a white-red color palette, retina-ready images and heart icons, making it the perfect design for a dating website. It has a Profiles section, social media features and it is WPML ready. Use this romantic WordPress theme for communication and doing business online. It will help you easily set up a community website for helping others finding their soulmates online. 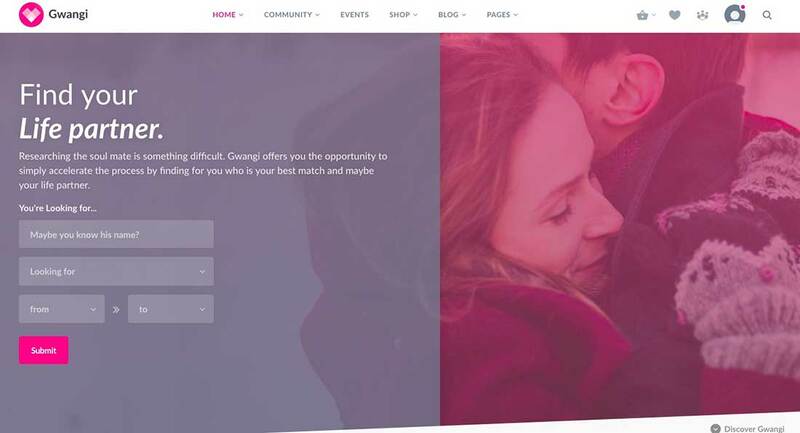 Help people search for soul mates on the web with this great WordPress theme fit for an online dating agency business. It comes with all the needed features for such a website, plus customization to fit your own branding can be done with a couple of tweaks. 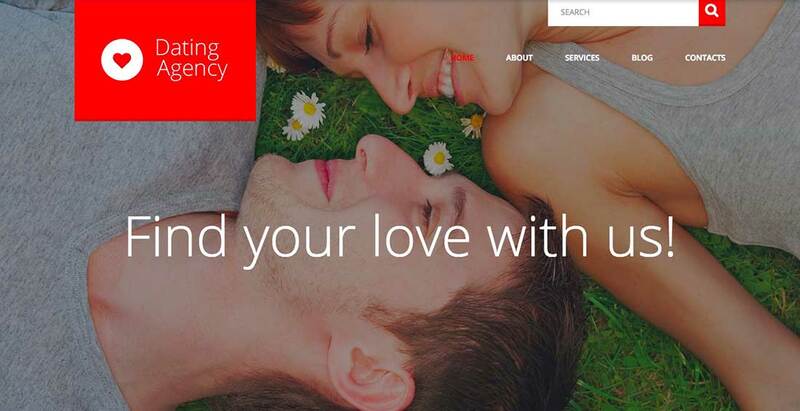 use this website theme to help people find their soulmates. This WordPress template focuses on visual images and content. It has a clean design with a lot of white spaces and legible typography. Plus the navigation is intuitive and the users can navigate throughout the site seamlessly. Create your own dating agency website or community website with a dating purpose with this modern looking WordPress theme! KLEO is a BuddyPress powered community WordPress website with a clean code, one-page functionality, unlimited sidebars, and more awesome features. 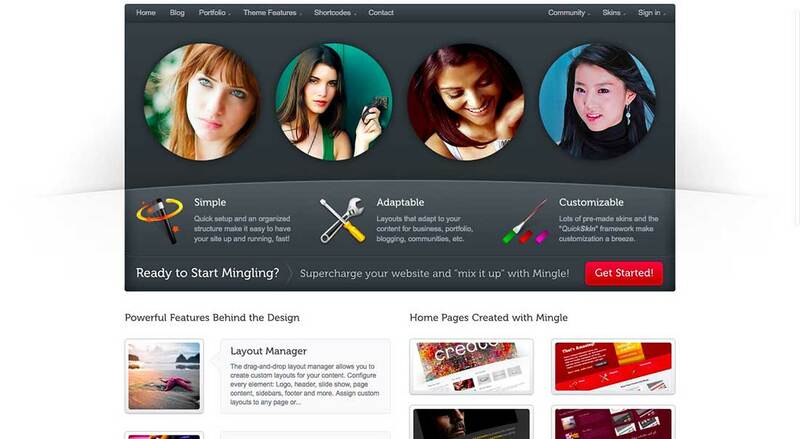 Mingle is a lovely WordPress theme that’s powered by BuddyPress. It lets you create a social network site in minutes. It comes with a community portal, forums, groups, people profiles and lets users update their statuses, accounts and send private messages to other users. Here is a responsive WordPress theme integrated with BuddyPress and bbPress. This theme lets you create a community website with social media features. Power up your business with this theme. Here is a great WordPress theme that can be used as a platform for company portals, intranets, and extranets. You can also create dating websites effortlessly, as this theme offers you all the features you need for your objective. 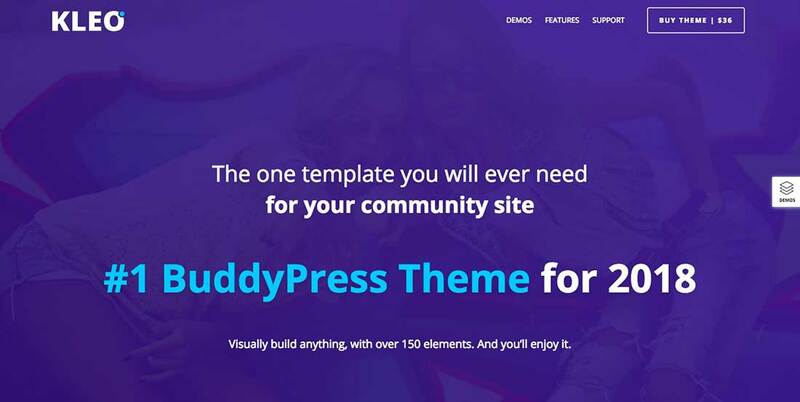 This is one of the best premium BuddyPress themes for constructing online communities. This creative theme comes with carefully polished details, customization options without a single line of code and all the features needed for a social network website in a box. 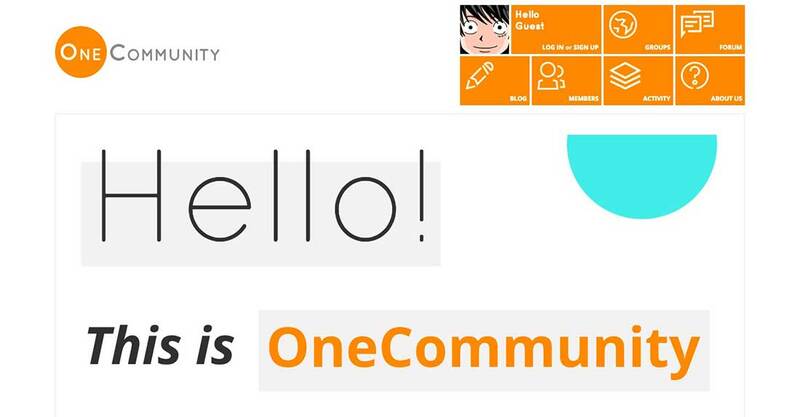 WildCommunity theme is powered by the popular BuddyPress plugin which lets users register on your site and create profiles, post messages, make connections with other users, create and interact in groups and more. Cinematix is a consistent dating WordPress theme with all the features needed by a social media service. Use it to launch your social site in minutes. This is another popular WordPress dating theme for building an online community from scratch. It follows the design principles of Material design and has a very clean and easy to use layout. Check out all of its features and see if it’s a right fit for your needs. 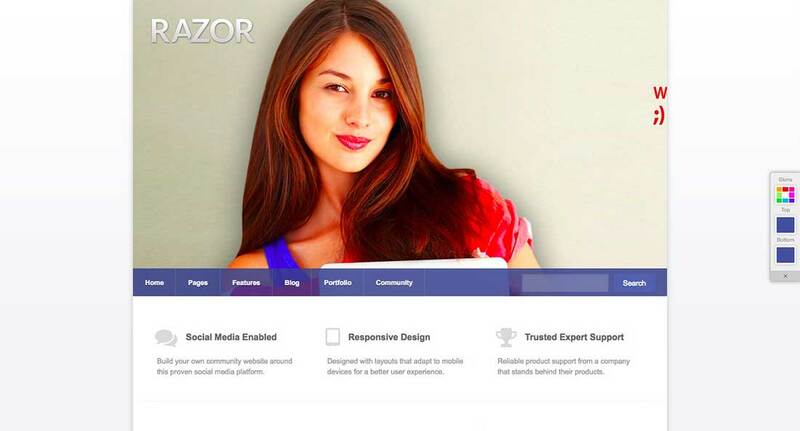 Razor is a clean and professional WordPress theme with a responsive layout, powerful modern features, and more! It offers you the possibility to build amazing websites, communities, social networks and so much more.